New Growth's School Supplies Drive A Success! | New Growth Hair Magazine | We capture the culture of urban barbershops and beauty salons. New Growth’s School Supplies Drive A Success! 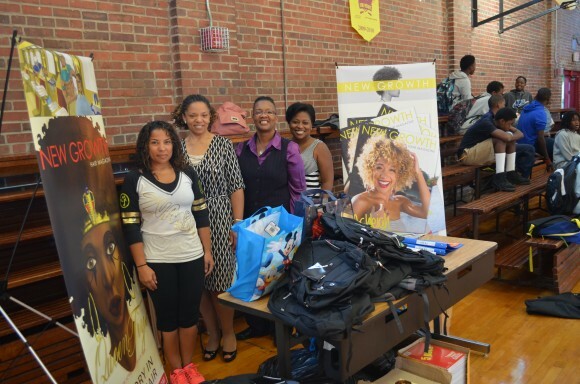 New Growth Hair Magazine successfully held its first School Supplies Drive for Homeless CMS Students. Thomasboro Academy, a Charlotte-Mecklenburg School with the highest number of documented homeless students (2013-2014 school year) was selected to benefit from the school supplies drive. 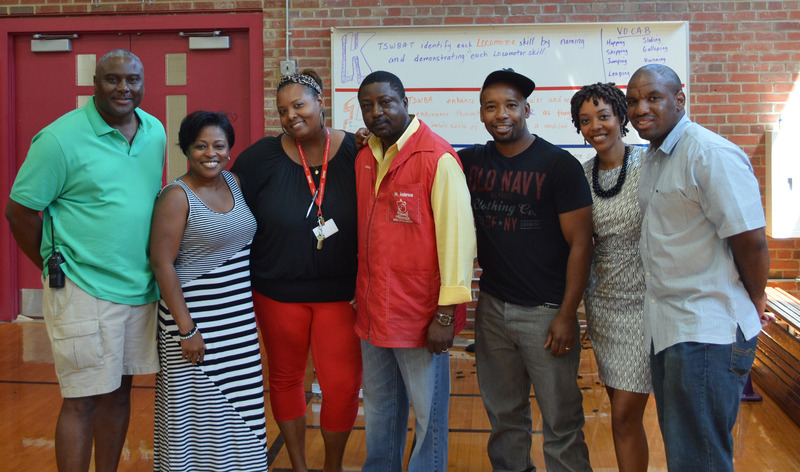 New Growth’s School Supplies Drive was organized by Rashad Phillips, New Growth Hair Magazine publisher and Tina Owens Knox, Spend Smart Now owner. Phillips said “I want to use New Growth’s social influence to bring awareness to important issues in our community.” I have a son and I can’t imagine being unable to provide housing and educational materials for him. So that’s why I encouraged Rashad to join in and help the kids at Thomasboro.” said Tina Owens Knox. 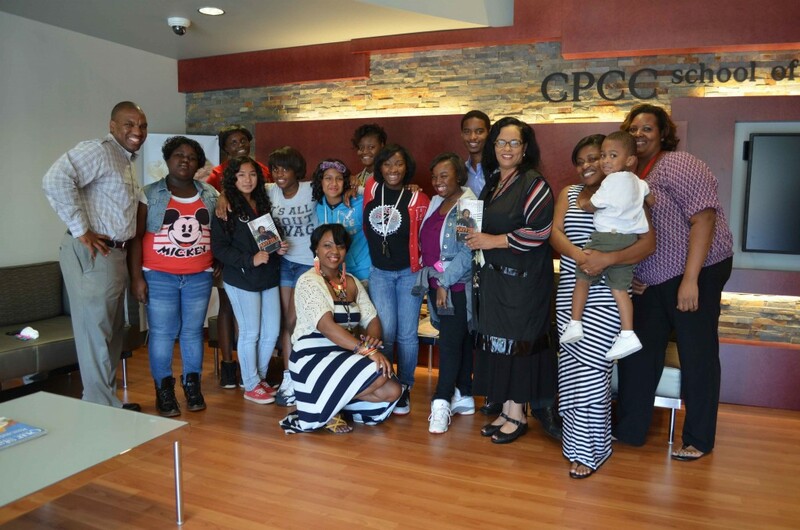 Central Piedmont Community College’s Cosmetology School,The Cutting Room Barbershop, Dupp & Swatt, Darlington Davis, PLLC, and Nationwide Insurance [Jackie Moss Agency] served as drop off location for donations. Event organizers and supporters collected donations from as far as Columbia, SC, Fayetteville, NC, and Newark, NJ. Ms. Millhouse showing Elisa Chinn-Gary and Shelia Lockhart Thomasboro’s food pantry and school supplies storage. 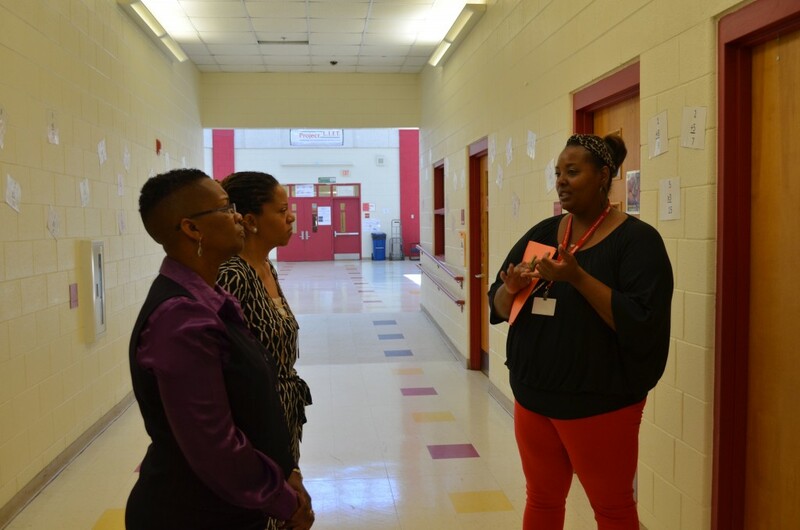 After Catherine Cunningham, CPCC’s Cosmetology Program Director learned about the number of the low-income and homeless students at Thomasboro Academy (which is less than two miles away from CPCC’s Cosmetology School), she asked how the college could chip in to help. 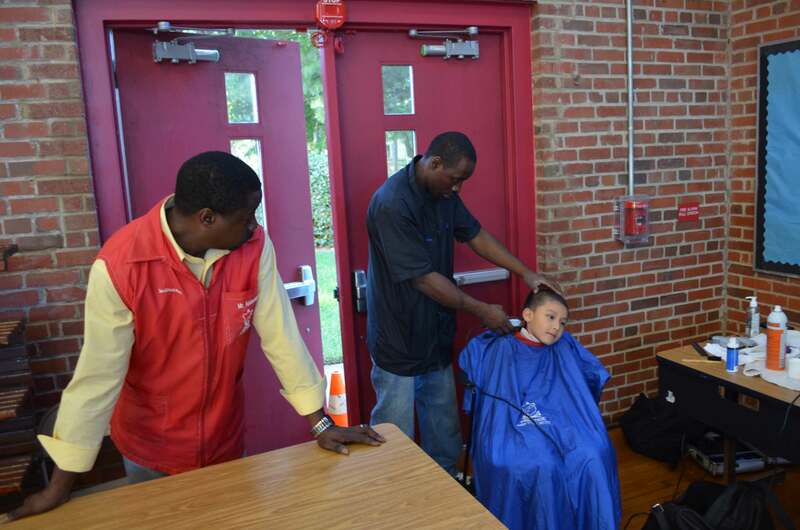 On August 20th, CPCC Cosmetology School offered free hair services to Thomasboro’s homeless and low-income students. In addition to providing free hair services, CPCC’s Cosmetology Student Club collected two large boxes of school supplies for Thomasboro students. 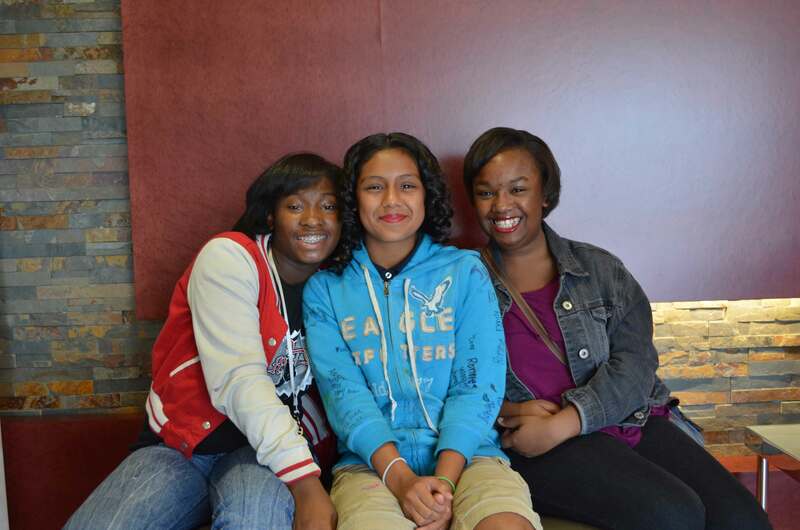 Smiles faces after Thomasboro girls received free hair services at CPCC’s Cosmetology School. Happy Faces after CPCC hair services. On August 25th, Team New Growth and its supporters provided 75 backpacks, 550 composition and spiral note books, 225 pencils, and 85 glue sticks to Ms. LaTonya Millhouse, Thomasboro’s family advocate for distribution to students in need. Elisa Chinn-Gary, Candidate for Mecklenburg County Clerk of Superior Court attended New Growth’s School Supplies Drive at Thomasboro. Candidate Chinn-Gary donated backpacks, notebooks, and pencils. Chinn-Gary said, “As a new school year begins, I’ve been extremely busy gathering school supplies for my two sons and the children at Thomasboro. 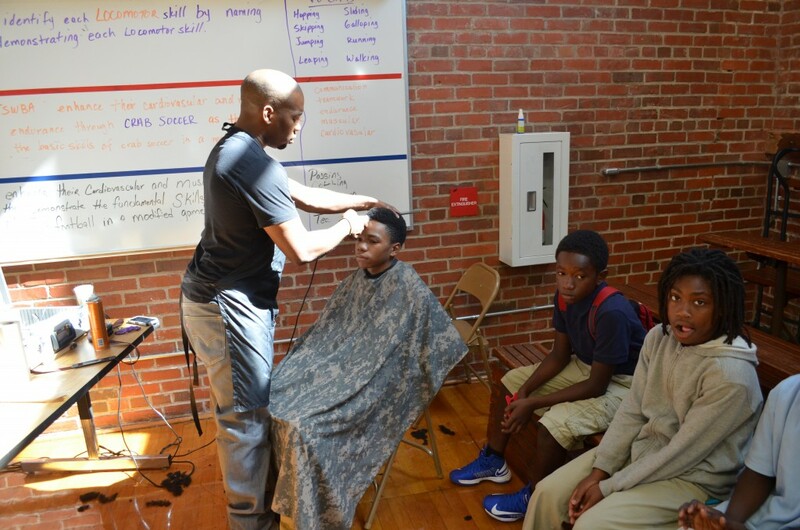 It was rewarding to learn about the issues facing the homeless families and to be a part of the solution.” On top of providing school supplies, New Growth partnered with Prestige Barber Styling Institute and The Cutting Room Barbershop to provide 50 free haircuts to Thomasboro’s low-income and homeless students. 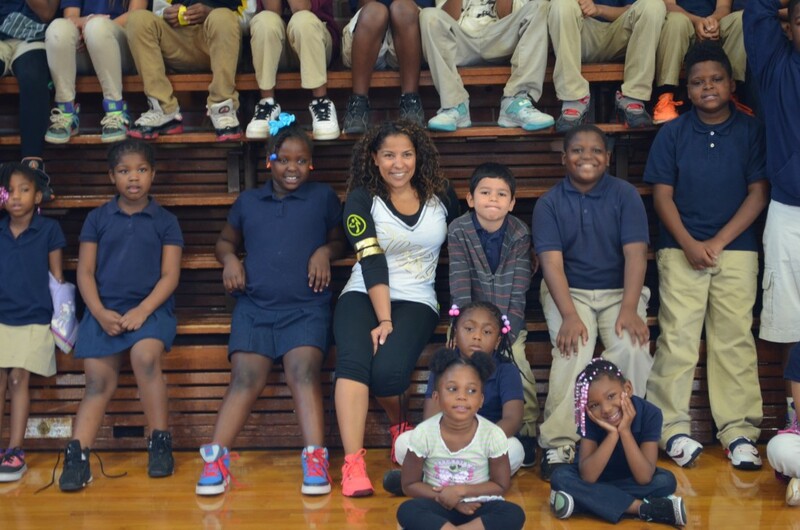 Dawn Owens, a Zumba instructor provided Thomasboro students with an entertaining and exhausting Zumba class. Dawn Owens poses with the kids after Zumba class. Currently, Rashad Phillips and Tina Owens Knox are planning New Growth’s 2nd Annual Winter Food Drive for Thomasboro’s homeless students. If you are interested in supporting New Growth in future charitable events, please contact Tina Knox at 704-363-5420.